Aug 22, 2018-When discussing security or national security, defence is one component which consists of the forces of law and order and intelligence. 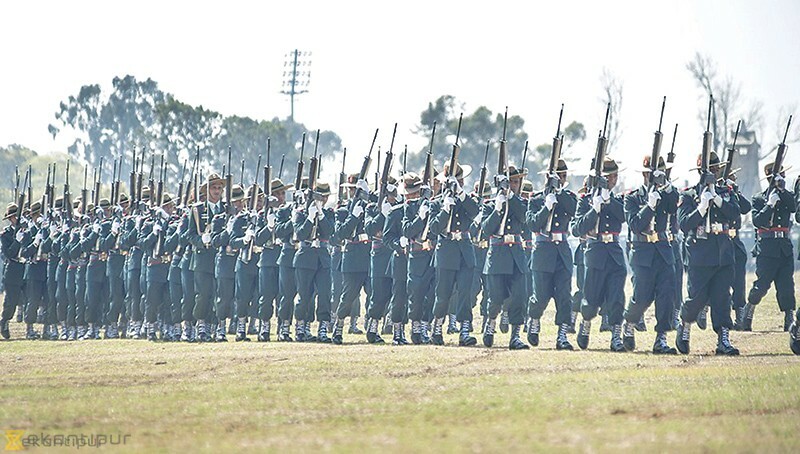 The changing of the guard in the Nepali Army (NA) looks very prominent comparatively. The new leadership with new initiative and resolution appears inevitable as Chief of Army Staff General Rajendra Chhetri is leaving office with unconvinced other ranks and arguments over the army’s role in nation building, involvement in business and financial irregularities. The NA’s primary role is defending Nepal’s territorial integrity, sovereignty and independence. Its secondary role is providing assistance to the civilian government to maintain internal security, conducting disaster relief operations, assisting in national development, promoting nature conservation and conducting international peacekeeping. The proposals recommended by the Eminent Persons’ Group on the 1950 India-Nepal Treaty of Peace and Friendship will encompass challenges and constraints after the government approves it. Military-to-military ties encompass establishing normalised and institutional security through military education exchange, conducting military exercise, supplying military stores and equipment and carrying out defence cooperation. Following the recommendation of the Nepal Bilateral Consultation Group, joint military exercises with the Indian Army began in 2011 that aimed to establish inter-operability between the two armies. The Nepali Army also began bilateral exercises in 2017 focusing on terrorism and disaster relief operations with the Chinese military. Exercises with the US Indo-Pacific Army and the British Army are ongoing. Military-to-military relationships is on the rise now with the seven states of BIMSTEC going through combined exercises in India. Risks to national security can be observed in six fields: One, social collision with religious intolerance and a rise in unemployment; two, political instability and even failure of federalism due to bad governance leading to dissatisfaction or even a secessionist movement; three, limitation of economic opportunities with a fall in remittance and policy deficit for mega projects; four, politicalisation and clientelism by political party cadres championing corruption; five, diplomatic failure; and six, security breakdown. There are six challenges in transforming the NA into a professional force. One, design the force considering the geography to defend the nation against external aggression, provide internal security and fulfil its primary responsibility; two, streamline the capabilities for an agile, innovative and adaptive army with mobility, high standard of training and the latest equipment; three, enhance the values and ethics so every soldier is a proud member of the NA who will sacrifice his life so the Nepali people may live in peace and harmony; four, ensure good financial management and transparency of the Army Welfare Fund and resources provided by the government; five, implement collective leadership by being a leader and not a boss to build strategic leaders and advisors who will lead the army and nation to new heights; and six, ensure civilian control over the military by looking into military laws and monitoring the system for irregularities and achievements. The NA is a traditional and cohesive army with clear military values and discipline and international exposure with the willingness to adapt without any political ambitions. The restraint and apolitical nature of the NA is winning public support and has proved to be a stable pillar for safeguarding democracy and facilitating the acceptance of the popular will. The army’s incredible performance during and after the earthquake has increased its prestige and popularity. The unpredictability of the federal structure and its implications, international pressure to refrain from internal security duties, pressures such as ill-conceived concepts of inclusiveness, increasing external interference and an underequipped and inadequate intelligence structure are constraints that need to be attended to. The army holds immense respect, and the new leadership needs to beautify it. National security requires rearranging, revitalising and reshaping defence and all law enforcement forces with immediate attention to the intelligence forces and input. Basnyat is a retired Nepali Army Major General, holds an MPhil degree and is a political and security analyst.